IBM asset management software, Certero for IBM, simplifies complex licensing and usage constraints, ensuring compliance and minimizing cost. Certero for IBM asset management software overcomes all technical and management issues to put you in full control and provide you all the evidence you need to push back against any challenge. Its intelligent, simple to use, powerful user interface and associated wizards make resolution of the component-to-product-to-bundle challenge a much easier activity. 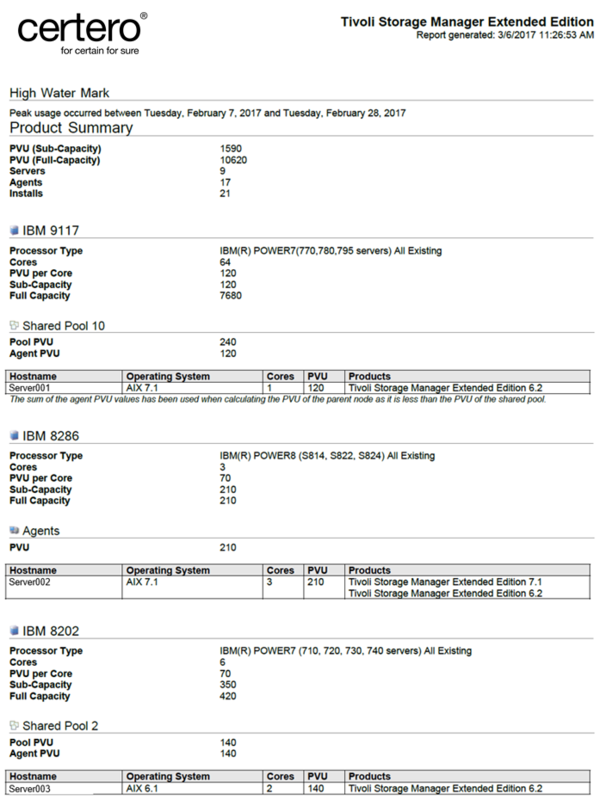 If you adopt the IBM virtualization licensing metrics known as PVUs (Processor Value Units), then the associated Terms and Conditions state you need to use an IBM tool to collect inventory; normally this is ILMT. 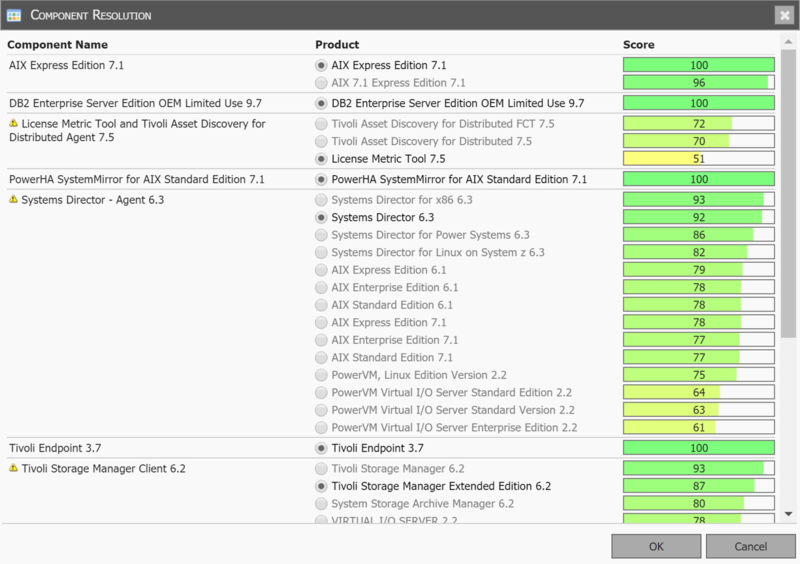 Certero for IBM asset management software has an out-of-the-box connector to ILMT, ensuring that you do not violate your Terms and Conditions. This data can then be used by the rest of the functions in Certero for IBM, such as component-to-product-to-bundle entitlement management and ELP creation. Certero for IBM asset management software also has its own inventory capability, which you can run alongside ILMT inventory. This will actually help you manage your ILMT deployment, by identifying whether or not it is fully deployed across your landscape: something which is very common and carries significant risk. It will also provide you with the inventory information independently so you can validate against ILMT. Certero for IBM asset management software gives you a position of strength from knowledge and puts you back in control. No longer do you have to be at the blind mercy of ILMT. Without entitlement you cannot perform software asset management (SAM). Certero for IBM asset management software has the ability to manage entitlement in a highly automated manner. For example, downloading and importing Passport Advantage agreements, working out start and end date of maintenance agreements automatically, ensuring you capture PO and other supplier or procurement information. The result is a fully informed, accurate view of entitlement, which obviously includes your PVU values. Certero for IBM asset management software has the ability to connect into ILMT, as well as providing an alternative view of inventory (demonstrating if ILMT data is accurate or not). It also has in place the component-to-product-to-bundle reconciliation information, along with the required entitlement information. Thus all the necessary information is available to automatically create the ELP. You now know where you are, in real-time. Gone are the days where you had to go through lengthy expensive processes just to create a point in time, manually-generated ELP, that may in actual fact be incorrect. We think this is a huge advancement on managing IBM software. Certero for IBM asset management software supports a great number of license models including PVU (Full-Capacity), PVU (Sub-Capacity), Install, Server, Virtual Server, Authorized User, Floating User, UVU, RVU, Client Device and Establishment. If that is not enough, Certero for IBM asset management software will even allow you to define custom metrics. The next great challenge which Certero for IBM asset management software helps with is reconciliation of software, primarily component-to-product-to-bundle. We have gone to great lengths to develop an intuitive, easy to use user interface which provides a quick and simple method to perform the reconciliation process. IBM hardware can be configured in very complex ways. From full physical servers to servers being segmented with virtualization technologies (LPARs), there are also other unique configurations such as shared pools and capped shared pools. All of this makes inventory extremely difficult to collate and present in a meaningful way and has huge implications on software licensing. These are the main ‘gotchas’. Certero for IBM asset management software can cope with all virtualization technologies, including IBM’s. It has a connector into IBM HMC (Hardware Management Console) and has all the information it needs to automate the inventory information required for an ELP to be created. For their most popular license metric, PVU, IBM’s licensing Terms and Conditions (International Passport Advantage Agreement Section 1.14) state that end users are required to utilize ILMT, TAD4D or Bigfix to capture inventory data which is then used for evaluating licensing requirements. However, ILMT is notoriously difficult to manage and maintain from a resource, time and cost perspective. Also, ILMT has limitations and certainly does not have the necessary functionality of a SAM tool. But did you know that organizations are able to negotiate with IBM to gain an amendment to allow a more manageable solution to be used instead? Certero for IBM asset management software automates the manual processes and data entry tasks commonly associated with rival products, providing an advanced solution that maximizes value. The complexity of IBM licensing is almost legendary. This white paper explains the complexities of IBM licensing in detail and looks at how they can be successfully addressed. Watch the Certero for IBM video and see what it might be able to do for you. Trademarks: IBM, ILMT, Bigfix, TEM SUA and TADd are trademarks of International Business Machines Corporation, registered in many jurisdictions worldwide.